Goldman Sachs and City of London Corporation funding artwork by Simon Periton at Farringdon station - Crossrail . For information about the Elizabeth line please visit the Transport for London website. 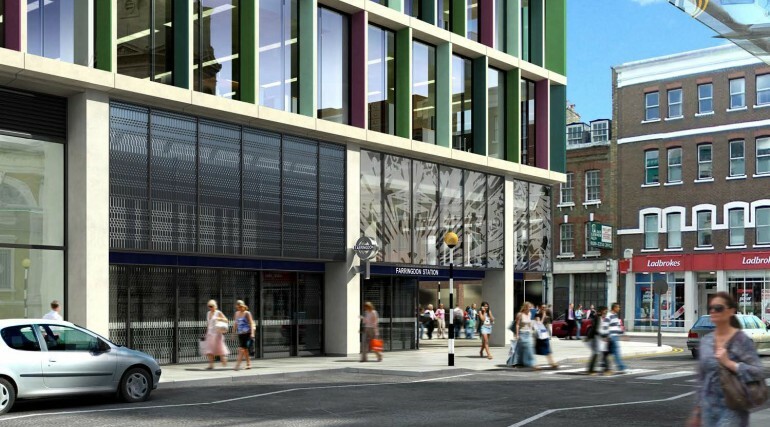 Goldman Sachs and the City of London Corporation is co-funding the largest commission ever to be undertaken by renowned British artist Simon Periton at the new Elizabeth line station at Farringdon. Periton, whose work ranges from subtly inserting messages into genteel cut-outs to large scale public commissions, has found inspiration for this latest work in Farringdon’s rich history. 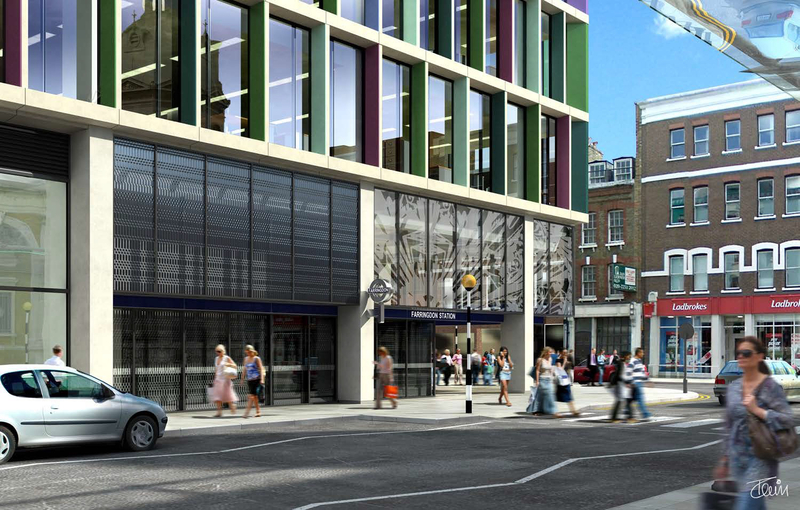 The artwork at the station’s eastern entrance will see the exterior glazing on three sides of the building feature an intricate pattern that reflects the elaborate Victorian metalwork of the historic Smithfield Market directly opposite. During the day, the artwork will allow passengers to see inside to the coffered ceiling that echoes the Brutalist architecture of the nearby Barbican, whilst changing shadows will be cast across the interior space. In the evening, the station lights will illuminate the design from inside, offering a dramatic new perspective to those on the nearby streets. 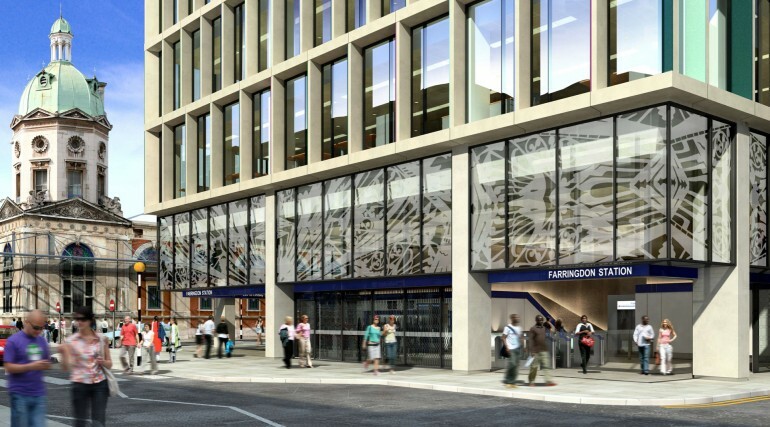 At the station’s western entrance on Farringdon Road, Periton is working with the engineers to develop a proposal that will see large diamonds, whose lines and facets complement the geometry of the ticket hall, appear to tumble down and around the escalators. 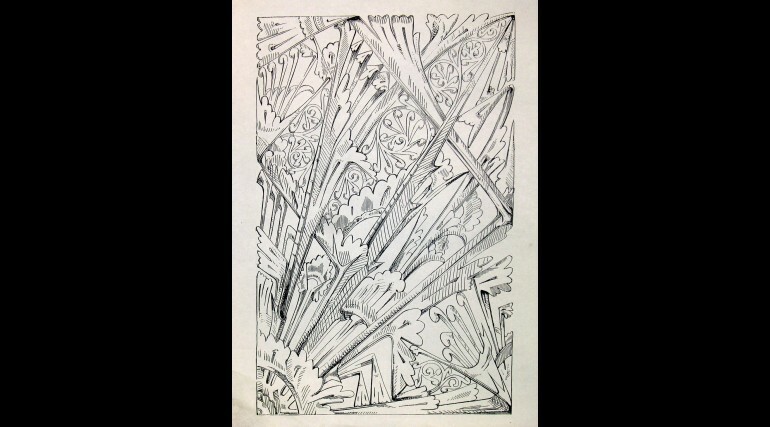 A homage to the goldsmiths, jewellers and ironsmiths of nearby Hatton Gardens, the 2 metre tall designs will be digitally printed onto the glass panels that line the walls, and be backlit so they shimmer and appear 3D. This installation will form a key part of the Culture Line – a unique line wide exhibition of large-scale art at seven stations on London’s newest railway. Crossrail worked in partnership with Goldman Sachs, Sadie Coles HQ and an advisory roundtable of art world representatives to select an artist and art work for the station which will be used by over 80,000 people every day. 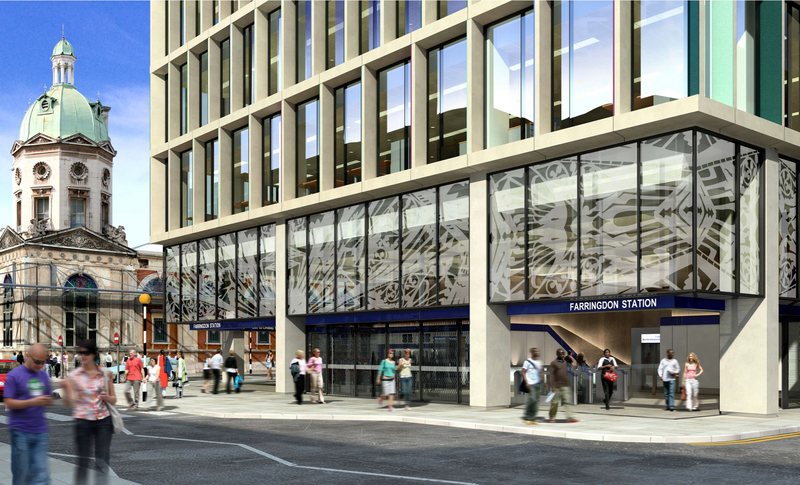 When the TfL-run Elizabeth line opens in 2018, the new station at Farringdon, located a few metres from Goldman Sachs’ striking new headquarters in the City of London, will be one of the best connected in London with the Elizabeth line, London Underground and national rail offering direct journeys to three of London’s major airports and the Eurostar station at St Pancras International. The City of London Corporation invests £80m every year in heritage and cultural activities of all kinds. It is the UK’s largest funder of culture after the government, the BBC, and the Heritage Lottery Fund. 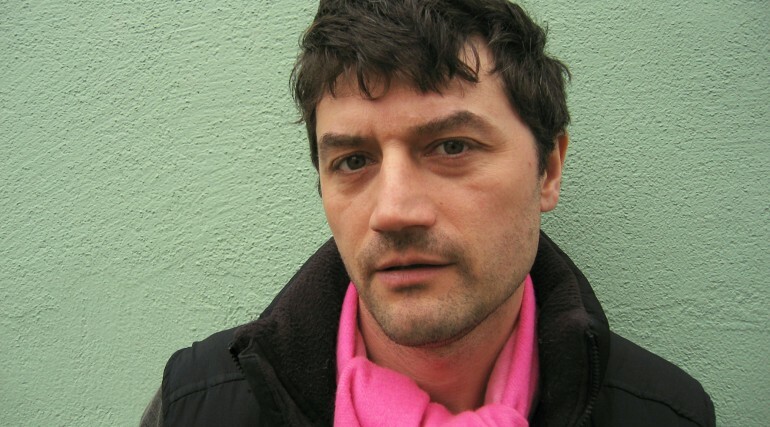 Simon Periton (1964–) was born in England and studied at Central Saint Martins School of Art, London. He has exhibited widely in Britain and internationally. Solo shows include 'Celestial Agriculture', New Art Centre, Roche Court, Salisbury (2015), 'The Rose Engine', The Modern Institute, Glasgow (2013) and 'Mint Poisoner', Inverleith House, Royal Botanic Garden, Edinburgh (2003). 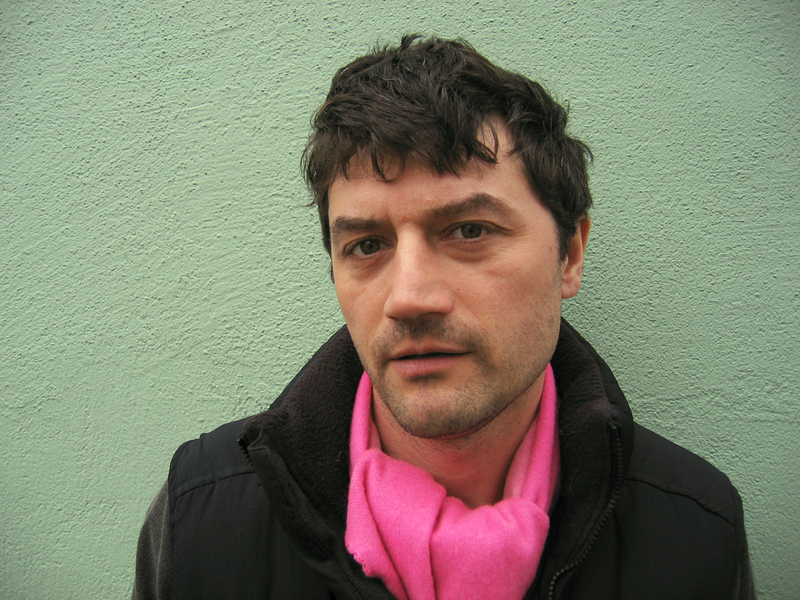 Periton's work has been included in prominent group shows including 'The Dark Monarch: Magic and Modernity in British Art', Tate St Ives, 'Undone: Making and Unmaking in Contemporary Sculpture', Henry Moore Institute, Leeds, UK, 'Wunschwelten', Schirn Kunsthalle, Frankfurt, Germany, 2007, and the 2007 and 2004 Summer Exhibitions at the Royal Academy, London. 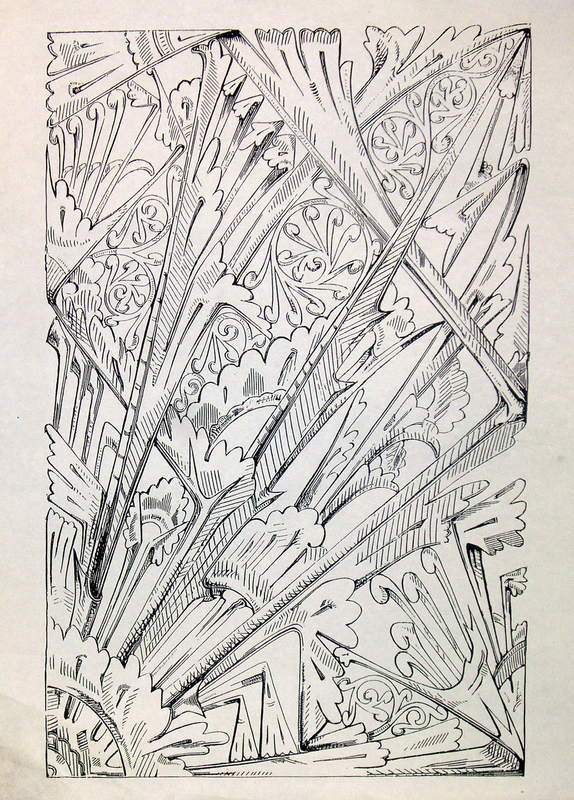 Commissions include public sculpture projects for University of Oxford, Oxford, firstsite, Colchester, Essex, Channel Four, the Victoria and Albert Museum and the Elizabeth line station at Farringdon. 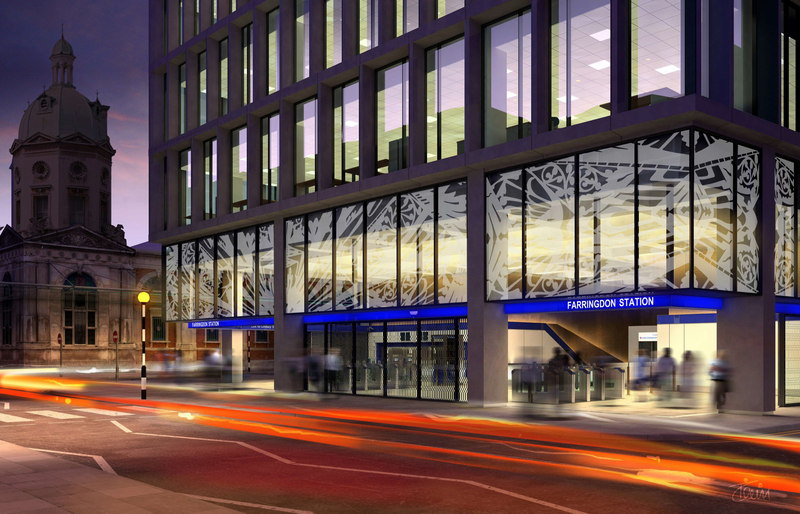 Works of public art will be integrated into seven new Elizabeth line stations in central London to create a line-wide exhibition that reflects the ambition of London’s newest railway and the communities it serves. This is called the Culture Line. The Culture Line is funded entirely through private sponsorship, outside Crossrail’s £14.8 billion core funding. The Crossrail Art Foundation, the registered charity responsible for selecting the artworks, is also raising funds from corporate funders, with each contribution being match funded by the City of London Corporation. The Crossrail Art Foundation is a registered charity that has been created to promote art for the public benefit by establishing and maintaining the Culture Line. It is responsible for selecting the artworks from a shortlist proposed by an advisory round table comprised of art world representatives, corporate funders, working with station architects, engineers and world renowned London art galleries – making the Culture Line the largest collective public art commissioning process in a generation. 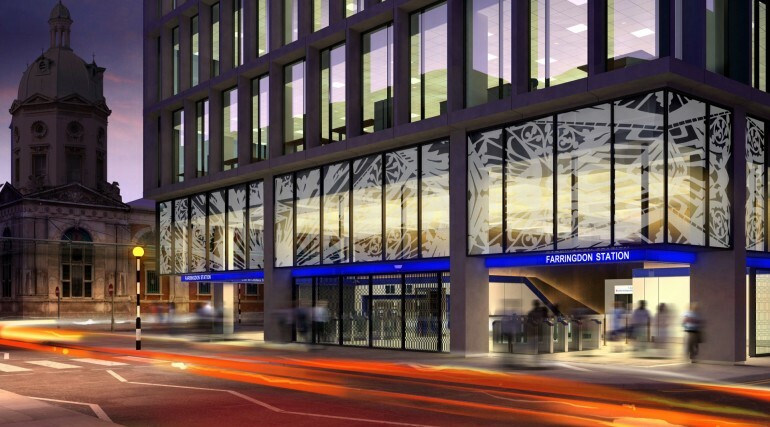 The advisory round table which shortlisted the artwork for Farringdon is comprised of Crossrail Limited, Goldman Sachs, station architects, the Barbican, Artwise curators and Transport for London’s Art on the Underground. The process was supported by Sadie Coles gallery. Supporting London’s communities by working in partnership with neighbouring boroughs on economic regeneration, education and skills projects. In addition, the City of London Corporation’s charity City Bridge Trust makes grants of more than £15 million annually to charitable projects across London and supports education with three independent schools, three City Academies, a primary school and the world-renowned Guildhall School of Music and Drama. Helping look after key London’s heritage and green spaces including Tower Bridge, Museum of London, Barbican Arts Centre, City gardens, Hampstead Heath, Epping Forest, Burnham Beeches, and important ‘commons’ in south London. Supporting and promoting the ‘City’ as a world-leading financial and business hub, with outward and inward business delegations, high-profile civic events and research-driven policies all reflecting a long-term approach. It was agreed at the 2 October 2007 Court of Common Council meeting that approval be given to a contribution by the City of London Corporation to the cost of Crossrail in the sum of £250 million.